Daily Bikers: What does the colour of your motorcycle say about you? What does the colour of your motorcycle say about you? I spend quite a bit of time looking at colour charts and colour matching using Copic Marker’s colour rendering system to image of motorcycles that I draw, and then turn into gift ideas for motorcycle fans, so it’s no surprise that I think about colour and motorcycles a lot. But it took a weird turn the other day, I was listening to talk back radio and they had a neuroscientist talking about how colour affects so much of our decisions, and that a lot of them are innate decisions. That means we don’t control them, they are built-in, or how we feel about colours could be an inherent part of our genes. He also spoke about how important it was to use colours in places of health management, such as hospitals and in particular mental health. He went on to explain that much study had found that the use of cool and calming colours such as blue and purple provided great results in aiding patients with mental conditions to feel more relaxed. Same goes for places of employment. Being a recovering battery chook style employee, I was fascinated. 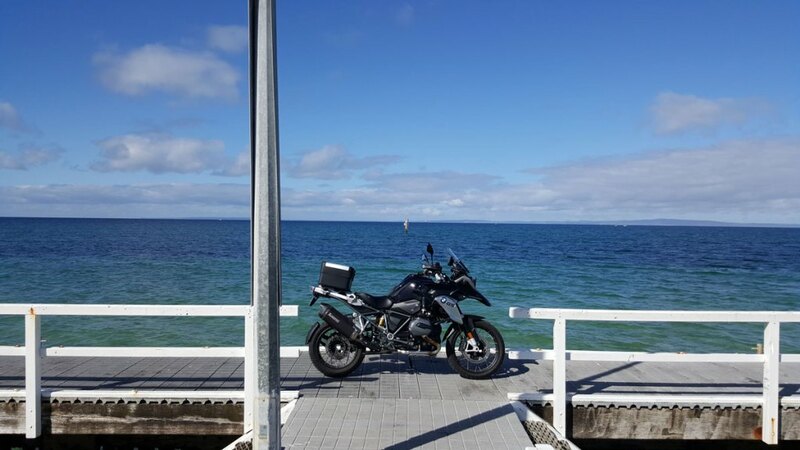 So my moto-mind started to wander, and I started to think about what colour choices might say about us, and how we choose what bikes we ride. Could there be more to it than just “I like red, they go faster”? But doesn’t that sound fascinating already, especially when you think about exotic motorcycles such as Ducati where you instantly associate the colour blood-red to that single word? I did a bit of research around colour theory, and turned up some really interesting stuff about the human psyche so I wanted to write more about it. But first let’s cover the basics. For this I wrote to my talented friends, first up ‘Chills’ who is a highly sought after User Experience designer. I asked her to write about basic colour theory. She explains it in depth below. Website: Daughter of Bev Colour theory is a wonderful area of study. For designers and those who work in visual professions, be they creative, craft or trade-based, combining colour can become very intuitive. 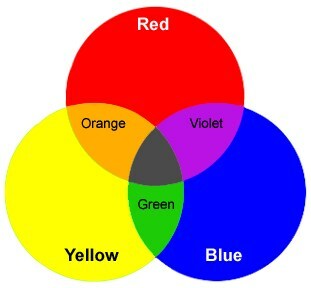 This is often due to repeat study of colour and tone via design tasks. Over time, the eye becomes trained to the nuances of colour. Often schooled in colour theory, designers and artists, like myself, utilise different kind of colour combinations in patterns and styles based on context and use. 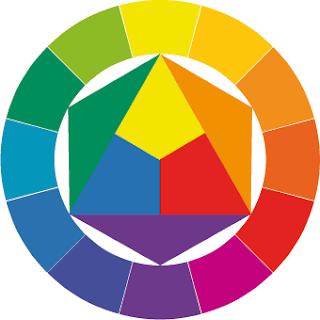 Primary and secondary colours were originated by Swiss colour theorist, painter and Bauhaus member Johannes Itten, who created a colour 'sphere' called Farbkries (1961). Itten combined an early exposure to education, psychoanalytical theory and his own art to create this model, which has been broadly referenced and challenged since both in education and practice. According to Itten, primary colours are considered to be red, yellow and blue. Secondary include orange, green and violet. 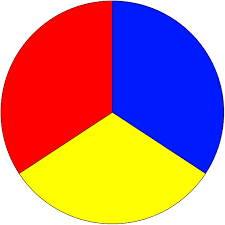 There is a tertiary set additionally that combine adjacent colours on the wheel. additionally are different kinds of colours categorised as analogous, complementary and contrasting. Over time and with practice you can work out how colours work well together and train your eye to understand how to incorporate colour combinations with tone and hue. Some great online resources include Adobe's Colour CC and ColourLovers. For physical use however, remember that materials and surfaces can influence how a colour can respond in different environments. So always test, see how you feel and adjust accordingly until the combination feels right in all uses. With that in mind I set about breaking out these primary and secondary colours into sets, and tried to align them to emotional responses and of course, motorcycle brands. What are the Primary and Secondary Colours? Now about those primary colours, what do they mean? It isn’t always easy to define a brand by a colour, but there are some standout examples. Red as a primary colour tells us at a primal level that there is danger. Blood is red and it’s primary feature is to warn us that there is something wrong, a Doctor told me this once when I was really young and it stuck with me for life. It’s also a primary feature for sexual arousal that is easily linked to Darwinian theory of evolution in the animal kingdom. When an animal seeks a mate it often uses bright colours to attract the opposite gender. When person is aroused by another person, their cheeks often flush as a sign to the other partner that they are interested in you sexually. Primitive much? 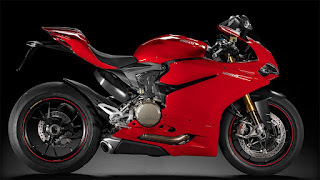 Ducati’s are primarily, and always have been blood red. It is the sign that they represent all of these things, primal and exciting, there is nothing like sitting atop 1200cc of bright red throbbing Italian motocicletta, let me tell you. Bikes: Ducati & Royal Enfield immediately spring to mind! Blue is a 'soft' yet masculine colour and is often used in infants room as a way to help them feel at ease. It is also strongly associated to babies as a colour for boys, and pink being for girls. Yellow is a special primary colours as it has both positive and negative connotations, from sunshine and joy, to jaundice and illness. 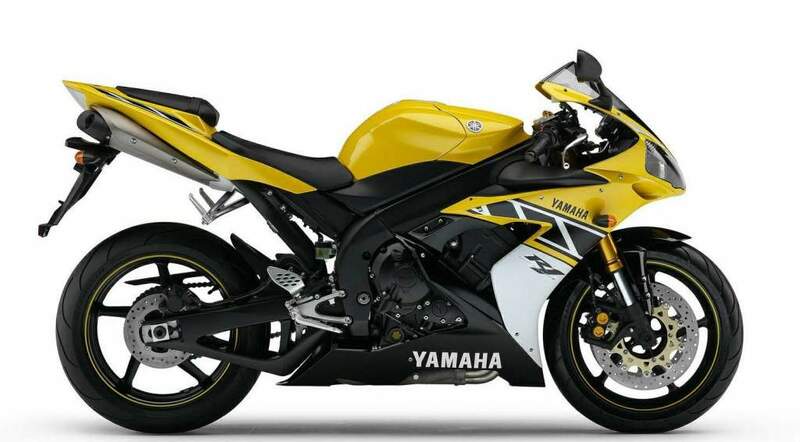 The particular tones and hues used in the combinations of Yellow can make a very large difference to how a yellow motorcycle may make you feel. Bikes: Yamaha. I immediately think of their super loud, bright and exciting race livery in yellow and how it is leant a particularly high quality feel with the combination of black. 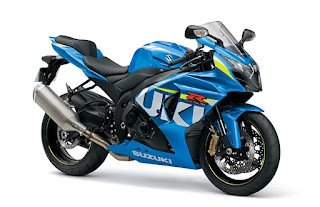 Then we come to the Secondary Colours, and by no means does this mean, second rate bikes. It is just what it is. Green is a very strong secondary colour and we often associate it with feelings of freshness, nature and very relaxing. Safeway Supermarkets springs to mind when I think of the colour green, and of course, Kawasaki instantly pops into my head with their range of Ninjas. Emotional responses: neutral, natural, relaxed and refreshed. 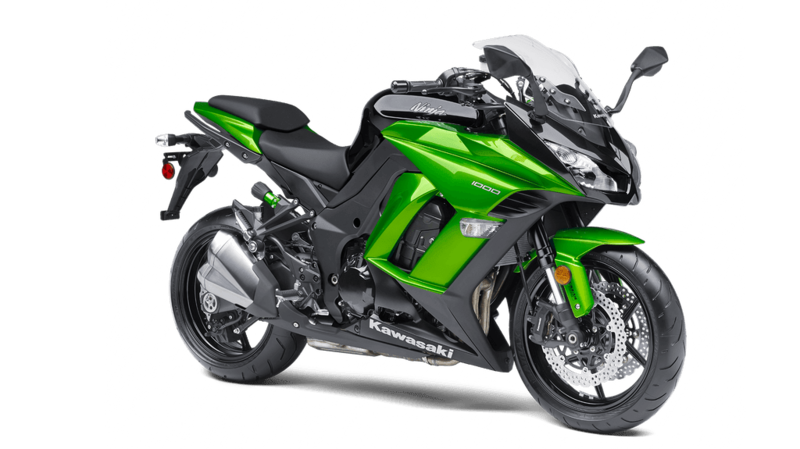 Bikes: Kawasaki. It instantly springs to mind when I think of the colour green and motorcycles in the same breath. Agree? It’s often a colour used in custom motorcycles and there are some stunning examples of brush work that utilise this colour to portray that feel of extravagance. Interestingly it is also closely associated with anti-aging products. 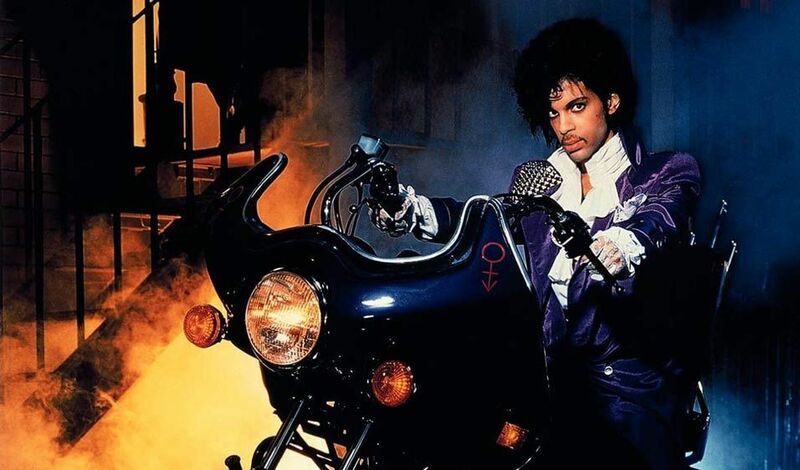 Bikes: It’s hard to pin a particular motorcycle to this colour but perhaps because of relevance, I immediately think of Prince (R.I.P) and his famous Purple Honda. Orange is a friendly colour and it portrays confidence in people. There is nothing demanding about orange, it is easy to look at and most likely it immediately makes you feel at ease when you take in an orange motorcycle. It isn’t as daring and frightening as red, but it is also quite aggressive and often used in marketing as a call-to-action, something saying 'Buy' or 'Sell’. 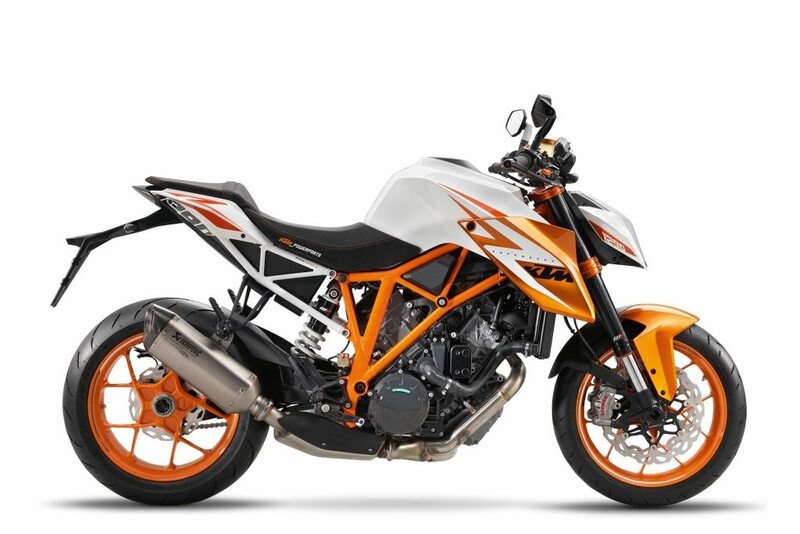 How do you feel about KTM? Bikes: KTM - all the way every time. KTM is synonymous with the colour Orange and for good reason. I wanted to be sure this wasn’t all just another random thought generated by my curious mind, so I thought to call on the considerable resources I am blessed with, having some very talented Designer friends in my address book. I spoke to Damir, a talented User Experience (UX) designer who also happens to be colour blind. I asked him to speak in general about how he approached colour in design and how that might affect people’s purchase decisions. Their responses were fascinating! Website: Damir Colour talks to us. Firstly, it tells us what something is. Green is welcoming, down-to-earth and healthy. Black is mysterious, powerful and slick. How often do you see a green Ducati? Or, a black Vespa? Not often! There's a reason for that. We call it colour psychology, and it affects how people perceive a brand. Colour also guides the user by creating contrast. A vivid colour on a greyscale screen will immediately grasp your attention. Good usage of colour will not only lead to better conversion, but it'll also make the people using your product happy. Colour illuminates the path to completion, purchase, download or whatever it is your product is there for. This makes it easier to use. The colours we choose for our products can offer a glimpse at our personality. Introverts tend to pick more neutral or desaturated colours. "I want to fit in." Whereas extroverts will pick bright, saturated colours. "I want to be noticed." Colour also affects our mood. Does all this sound like new age mumbo-jumbo? Well, it may be, but it also affects your buying decisions at least somewhat, and sometimes quite significantly. He’s got a very valid point of view here, especially when you think about the emotional responses of the colour red, the bike you immediately associate with it. Colour psychology is all around us. And finally when I get through all of this I hit my limiter, I didn’t know what to do with the left over colours that are so predominant in motorcycle design, Black, White, Silver and Gold! These colours are largely EVERYWHERE when you think about motorcycles. So I spoke to another close friend Fi. Fi is a very talented artist and close friend of mine, who personally identifies with the colour green quite a lot. When ever I think of her I immediately associate the colour green with those thoughts. Do you ever find yourself associating colours to people that you know? I do. But I digress, next up I asked Fi to try and be specific about what the colours Black, White, Silver and Gold could mean to us as motorcyclists, and what they portray to an artist and designer in general. Her answers were amazing, think of these responses and how they apply to motorcycles. Silver is about class, speed and power. As fast as a speeding bullet, as sleek as the edge of a blade, as hard as steel. It is the colour of sci-fi, robots and spacemen. It’s metallic sheen is reassuringly mechanical and speaks to the precision of engineering and technology. A mirrored chrome finish emphasises the beauty of curved lines and reflects our world back at us, a convergence of function and design. Silver is 100% cool. It’s easy to see why black is the colour of choice for designers. This elegant, sophisticated shade can do no wrong. Dress it up and it’s black label, black tie, black dress. It is the colour of night, mysterious and alluring. It’s the perfect backdrop for an accent colour. Black is serious, powerful, strong, sober and prestigious. Black is Batman. Made popular by the crisp aesthetic of apple and modern tech designs, white is minimal and clean. It’s purity is luxe, otherworldly, a little stand offish. White is unforgiving and clinical and demands care be taken. Large areas of white create space, which encourages contemplation and can be quite soothing. A conspicuous colour that stands out from the crowd, gold is the ultimate symbol of wealth. In large amounts gold is ostentatious, loud and demanding – the weapon of choice for gangsta bling. Use it sparingly and gold becomes a hallmark of elegance. Gold has its roots in royalty and religious icons so is often associated with power, class and mysticism. Wow Fi, you're amazing, thank you! Of course all of this theory could be just that, theory. And of course almost every motorcycle brand can be just about any colour you wish it to be. Custom paint and even colour variations are largely available right out of the box from most factories but, not to dismiss the theory above, have you really ever had a crush on a bright pink Ducati? Or an orange BMW? Wonder why? When you think about what bike you ride, and what bike you might ultimately like to own if money was no concern, what would it be? What colour immediately springs to mind? What does that tell you about what you you think know, now considering some of the above principles regarding colour theory? What about that touch of bling you ordered in your gold wheels, or the amount of shiny chrome on your steely steed? Are you a fiery red-hot sexual predator riding a Ducati, or a cool sleek dude/chic on top of a slick blue Hyabusa, or perhaps a high quality dark and sophisticated kinda gal on a black beauty? For me, bikes are always blue or black. I like silver over gold, and I like primary colours red, blue green. But I hadn't talked to real motorcyclists as yet, had I? So I took my question and ported it over to Twitter, and asked the people who ride, and the question seemed to really hit home. Have you ever bought a motorcycle based on its colour? Do you give colour much thought when choosing ya bike? @DailyBikers yup colour is important too! I've not bought a bike because of its color. That count? And Adrian, a bit like myself, is also happy as long as it is black. @DailyBikers as long as it's Black then I am happy! @DailyBikers not solely based on colour but colour has an equal factor along with power, handling, design, comfort. @DailyBikers no and no, just ride it. Colour is vital to me. I have to like the colour or I won't buy the bike. 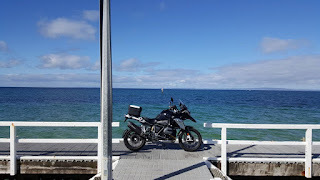 @DailyBikers the "triple black" option definitely helped push me in the GS direction. Stood up and noticed this model for the first time. Mark used a word that makes me feel uncomfortable - synergy - uggh, shudders! Yes colour is important, I'm not fixed on any specific colour - some colours suit some bikes; it's about the synergy. @DailyBikers I ALWAYS consider the colour. A bit Henry Ford............#BLACK. Obviously, #talian bikes should be #RED though! So there you have it folks! Straight from the motorcyclists mouths. I would have to summarise by saying quite simply, colour is a personal choice thing. It doesn't necessarily say that much about who you are particularly, but perhaps it hints at what you like in your motorcycles, just a bit. It's been fun to mull over to say the least. Thanks to all of the contributors and friends who helped pull this together, I hope you've found it interesting enough to share with your fellow biker friends and don't forget to Subscribe below! Until next time, stay upright.